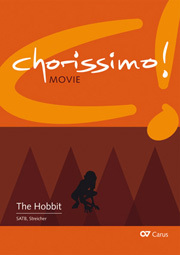 In the movies of the Hobbit trilogy, the film music, which won a number of awards, plays an important role. 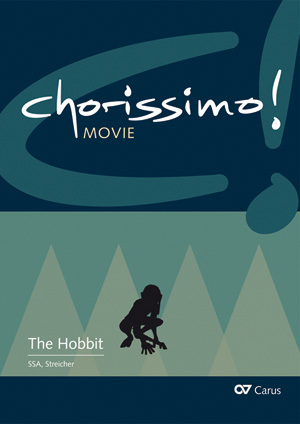 The three songs from "The Hobbit" are now available in an arrangement for mixed choir (SATB) or youth/women's choir (SSA) with piano accompaniment. Strings may be included, either alternatively or additionally. Enjott Schneider, an award-winning composer and arranger of film music, was responsible for the choral arrangements. 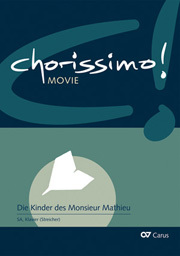 Carus has extended its range of music for singing in schools: the new series Chorissimo! 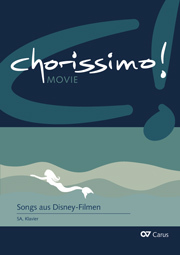 MOVIE contains up-to-date choral arrangements of well-known film scores suitable for use in school choirs. In collaboration with the "Landesakademie für die musizierende Jugend" in Baden-Württemberg, Ochsenhausen.